We bought sugar cookie mix at the holiday bazar last weekend and of course needed to make them before we head home at the end of the week. 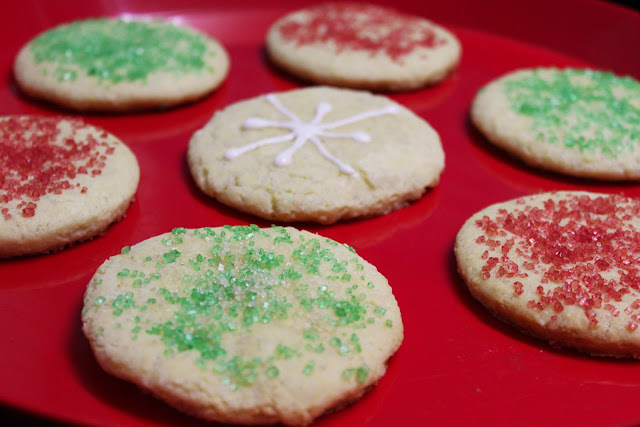 When I took the dough out of the fridge and it crumbled in my hands I thought all was lost (we used super chunk sugar, weird butter with an eyeballed measurement and had refrigerated way longer than the recipe called for) but Jeremiah persevered knowing sugar cookies are one of my favorite christmas traditions. Glad he did because these cookies are delicious!